If you’ve been keeping up with this year’s Women of Power hashtag (#WPS2012) on Twitter, you know Black Enterprise’s 7th Annual Women of Power Summit is in full effect. Conference attendees are enjoying a bevy of activities, from enriching panel discussions and power networking to group exercise sessions and golf and tennis clinics. Couldn’t make it to this year’s conference? Don’t sweat it. 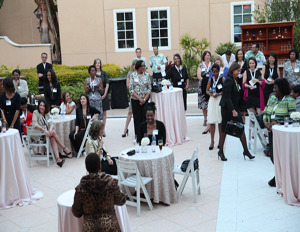 Click here to peruse through pictures from the Power Networking Workshop, Welcome Reception hosted by State Farm and Women of Power Legacy Awards Dinner hosted by PepsiCo.